Initial jobless claims are an important short leading indicator, typically turning up 3-9 months before a recession. Although it is just one data point of many, that the Empire State Manufacturing Index’s new orders measure fell to an 18 month low (although still positive at +4) at very least continues the trend of a big slowdown in the industrial sector. Now that December inflation has been reported as down -0.1%, with YoY consumer inflation a paltry +1.9%, let's update what that means for real wage growth in 2018. December jobs report was a blockbuster report. About the only negative is the increase in the headline unemployment rate. BONT The Bon - Ton Stores Inc.
Hale Stewart is a tax attorney with both a domestic and international specialty. He is also author of the book U.S. Captive Insurance Law. Bond broker with mutual funds and insurance companies for clients. 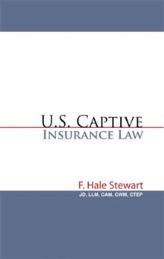 This is the first book on captive insurance which thoroughly examines the relevant issues associated with starting a captive insurance company. Part I begins with a description of the companies most likely to benefit from a captive program. This is followed by a detailed outline and explanation of the formation process and ends with an overview of the tax issues encountered by a property and casualty insurance company. Part II presents the first in-depth historical analysis of the entire history of U.S. captive insurance case law. It begins with the reserve cases of the early 20th century and is followed by the flood plane cases of the 1950s, the I.R.S. victories of the 1980s, the taxpayer victories of the 1990s and the I.R.S.’ safe harbor Revenue Rulings of the early 2000s. With over 950 footnotes and 40 sources, this is the most complete treatment of captive insurance to date.